EXTRAORDINARY TEAM OF PASSIONATE ARTISTS. Uriah is a talented artist. He has been tattooing 10 years. 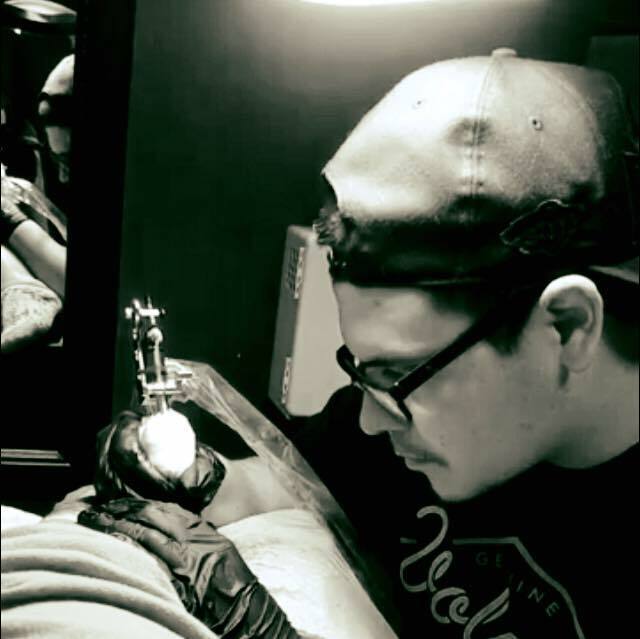 Uriah can tattoo various styles of art and is versatile in his work. Uriah's favorite types of tattoos include fixing old tattoos and making them top quality. Sheriff Sunshine has been tattooing for 5 years. Sheriff loves doing color work, and enjoys watercolor and kawaii styles of tattooing. 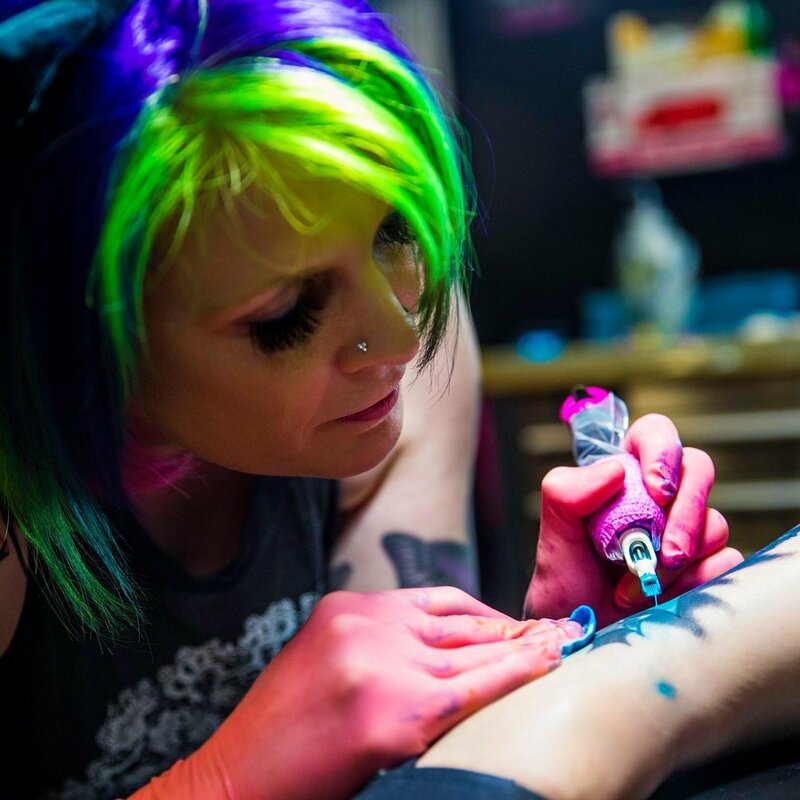 The other team members have nicknamed Sheriff's style of tattooing "crayon vomit" based on the broad range of colors she works with in a single tattoo. Jon has been piercing for 6 years. Jon's favorite thing about body piercing is when clients do multiple piercings in one sitting. 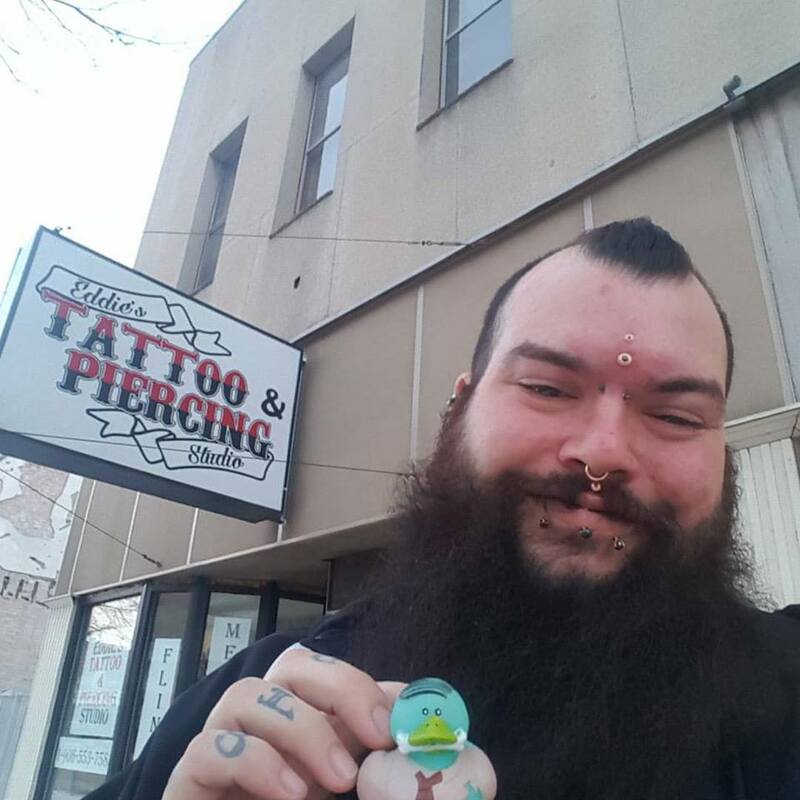 Jon only carries high quality jewelry in shop, and loves seeing his clients choose gorgeous diamond a gold jewelry pieces for their new piercings. 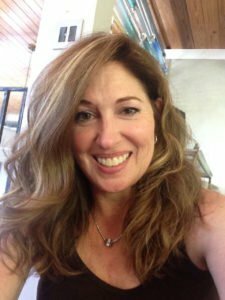 Lisa has been a cosmetic tattoo artist for over 20 years. Lisa is also trained in microblading. Lisa's work is amazing and she definitely has an eye for detail! Lisa's tattoo room is also licensed as a salon which allows her to provide additional beauty services such as eyelash extensions, facials and waxing! Ramiro has been tattooing 2 years. He loves black and gray, realism, and mandalas. Ramiro has the best tattoo room in the house with a view of the river. Mitch has finished his apprenticeship and has been fully licensed for three months. Mitch enjoys tattooing pretty much anything, but his passion is traditional style tattoos. Since Mitch got fully licensed we needed a new apprentice. Sierra is now trying. 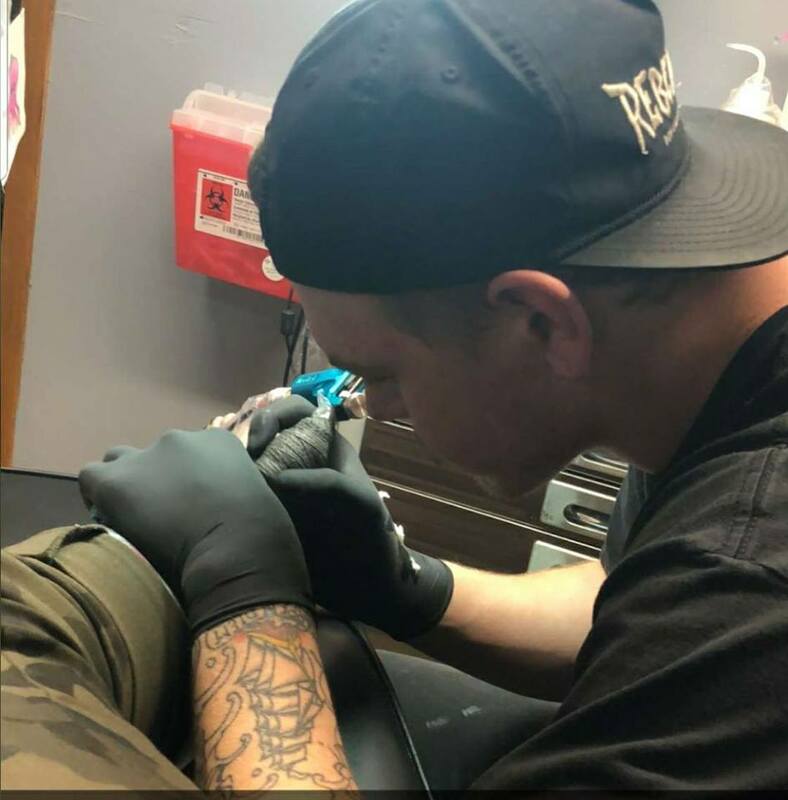 She does an excellent job assisting clients in, is extremely personable, drawing and drawing and drawing, and is learning more every day about tattooing. We customize your tattoo. You don't want to be walking around with a tattoo everyone else has right? Bring our team your ideas and watch them design you a tattoo that only you will be wearing! Our clients are our number one priority. We come to the studio each day excited and ready to create! We love the art of tattooing and piercing and will give you a one of a kind custom tattoo. We pride ourselves on our friendly, welcoming environment:) Fun is had by all at Subjective Art Tattoo! We are ethical when it comes to tattooing. We will be honest and offer suggestions so you receive the best possible tattoo!